KFive have developed an expert knowledge in shopping mall design layout and furniture. We have assisted in the refurbishment of countless centres across Australia and we understand the complex requirements behind some of Australia's most used public spaces. This project provides a behind the scenes view into one of Victoria's most loved shopping centres. 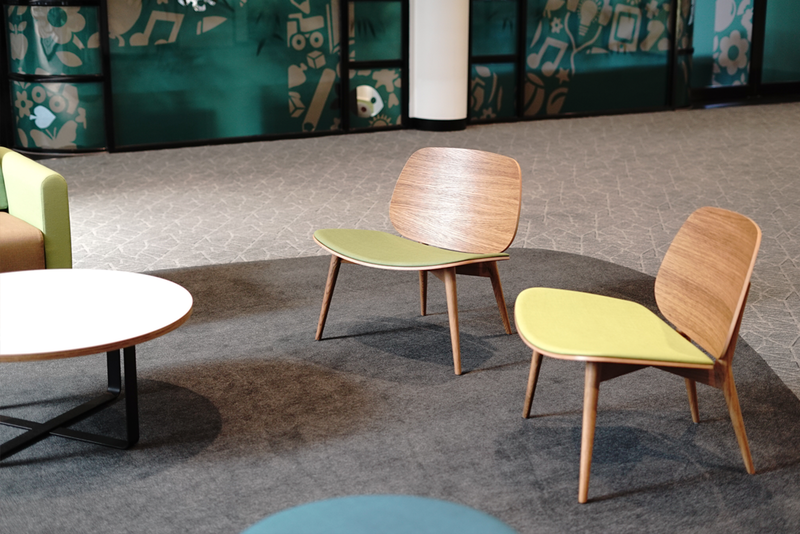 The areas were refurbished to provide Highpoint staff and clients with small meeting areas. The furniture was selected to provide comfort and longevity, while the colour scheme brought some contemporaty style and fun into the space.